If you’ve dealt with credit card debt or long term debt in the past, you probably have come to appreciate the benefit of personal loans. While loans are unavoidable in the contemporary society that we live in, it is important that we look at and burst the myths that surround personal loans. The idea is to ensure that you do not get mixed up in the myths that surround personal loans. In that regard, what are some of the myths that surround personal loans? This is a misconception, an incorrect assumption that should not be taken at face value. The truth of the matter is that there are unsecured as well as secured personal loans. 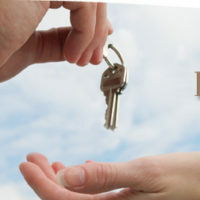 The assumption therefore that personal loans do not require or need any kind of collateral is nothing more than a myth. If you have a valuable asset that you can set up as collateral, you can use the same to secure a personal loan fast. However, if you do not wish to set up an asset as collateral, an unsecured personal loan will suffice. This is a myth with no basis. The growing popularity of online peer to peer lenders means that banks are not the only source of personal loans. Individuals can now access loans at relatively cheaper prices compared to banks. Granted, this might seem the case on the surface. However, considering the fact that the average rate charged on credit card debt in 2 years is around 13.5% while the average rate charged on personal loans within the same period is 9.7%, it might be a bit fallacious to conclude that personal loans are comparatively cheaper than credit card debt. In any case, what makes one seem more expensive than the other has to do with the length of repayment. If you are able to repay off your credit card debt in a couple of months, you could end up paying less compared to a personal loan that runs its course. Granted, this is the largely held belief. However, the belief or assumption holds no water in the financial world. If you have a new business with no financial history or credit history, it would not be prudent to use it to get the much needed funds to lift it off the ground. The credit history for your new business might not be sufficient to enable you to get access to the much needed additional cash. However, you might personally be able to take a personal loan and use the cash to lift your business of the ground. With that said, it’s correct to say that as is with any other thing, being informed is of essence. Knowledge is power and when you make a decision from an informed platform, you stand not only to benefit but also avoid pitfalls that many people get into as a result of haphazard decisions.